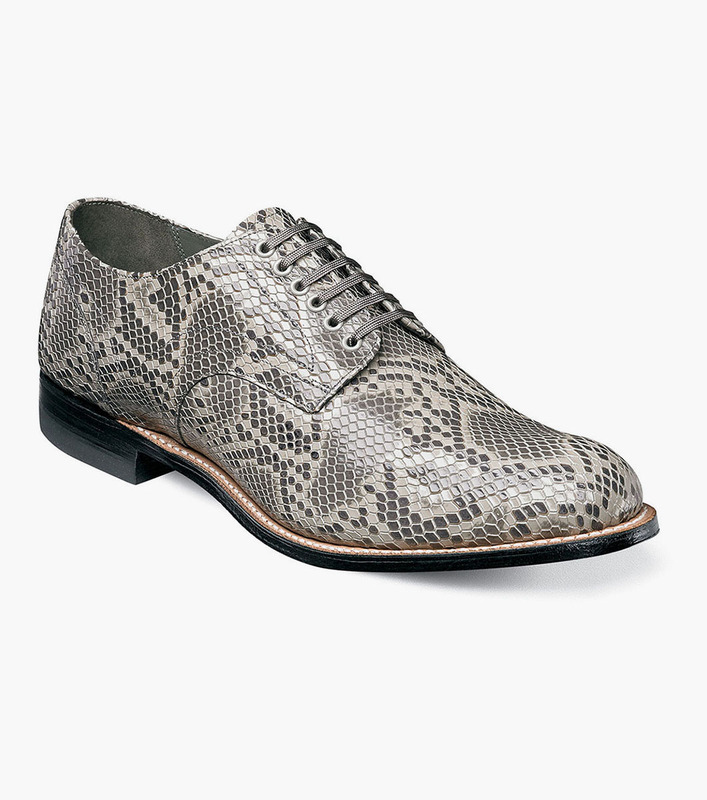 The Madison features a classic Stacy Adams silhouette, re-envisioned with a python print leather upper. Available in a variety of colors to complement your wardrobe, this plain toe oxford is a fashion statement that evokes historic Stacy designs. The Madison is a plain toe oxford.